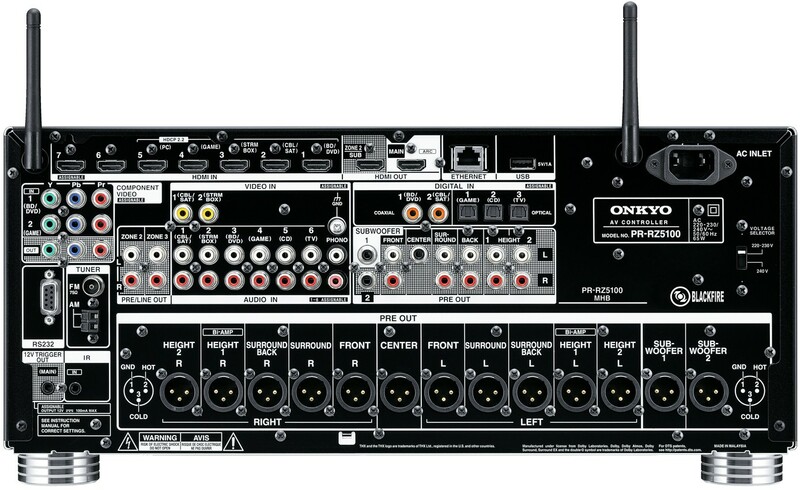 Onkyo PR-RZ5100 AV Processor is an 11.2 Channel Network AV Controller allowing you to make multidimensional sound your home cinema’s crowning glory. Earn 2100 loyalty points when you order this item. 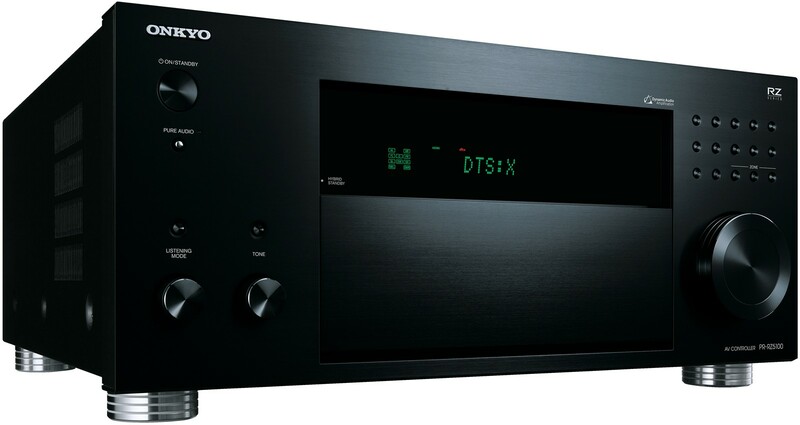 Onkyo PR-RZ5100 11.2 channel network AV processor lets you join the object-based sound revolution and is capable of delivering a full-scale multidimensional surround-sound experience without caveat or compromise. DTS:X and Dolby Atmos formats are decoded and sent to your power-amp and floorstanding/in-ceiling speaker layout with utmost fidelity through RCA or XLR pre-outs, unlocking a truly immersive cinema experience. Premium DACs and VLSC assures stunning purity for Hi-Res Audio, such as 11.2 MHz DSD, while separate digital/analog circuitry prevents interference on analog sources. Together with comprehensive wired and wireless multi-room AV capabilities, app-based streaming via Google Cast, Wi-Fi, AirPlay and the latest HDMI connections, this beautifully crafted centerpiece boasts every convenience to smooth the transition to next-generation entertainment. Combined with a THX-certified amplifier, the PR-RZ5100 controller’s THX Ultra2 Plus certification assures distortion free Cinema Reference Volume in large home cinemas. Certified products are subjected to the industry’s toughest bench-tests to satisfy THX require. Most smartphone and PC music apps let you mirror what’s playing to your TX-RZ3100 with ease using Google Cast. 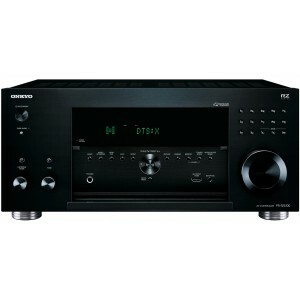 The receiver also features AirPlay, Bluetooth, and Wi-Fi for universal wireless audio support, including DSD up to 11.2 MHz. Enjoy music any time on your home cinema via the popular Spotify, Pandora, Deezer, Tidal and TuneIn smartphone and PC applications or via Onkyo remote app. Cast anything playing through your receiver including vinyl and streaming audio to compatible speakers around your home using FireConnect technology. Manage multi-zone playback with our free smartphone app. Put extra speakers you have to good use—connect them to the receiver’s Powered Zone 2 and Powered Zone 3 outputs. Dedicated DACs and smartphone control options let you manage content in any zone, making housewide sound a practical proposition. Select HDMI terminals support HDR, 4:4:4 colour-space, and HDCP 2.2 for next-generation UltraHD Blu-ray, streaming 4K video, and 4K/60 Hz PC-based gaming. Zone 2 output transmits 4K home cinema sources to a second TV.